Today marks the last issue of Detective illustrated by J.H. Williams III. I want to say something about his art, because it demonstrates so perfectly the way that comics communicates with its audience. 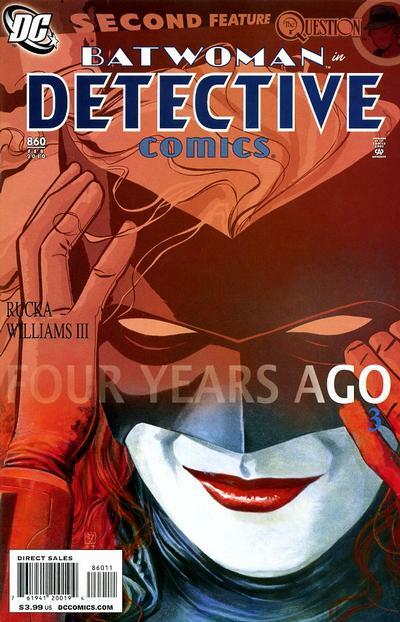 Williams' art style is constantly shifting throughout the series. Whenever a character is in costumed regalia (thus far on Batwoman and Batman), they take on a much more realistic mode than the characters do when they're in their civvies (trying to embrace the Army-speak of Kate and her Dad). It's almost as if, in embodying a mythic principle, the costumed characters become more real than the reality they inhabit. Which is, of course, exactly what happens with superhero comics.